Incredible 4 Bedroom Reverse home! Open floor plan w/Kitchen featuring custom cabinetry, oversized granite island, stainless appliances, walkin pantry, & access to covered deck. Living room w/hardwoods and grand stone fireplace. Large master suite with custom tiled large shower and sizable walk-in closet with access into laundry. 2nd bedroom and full bath on main floor. 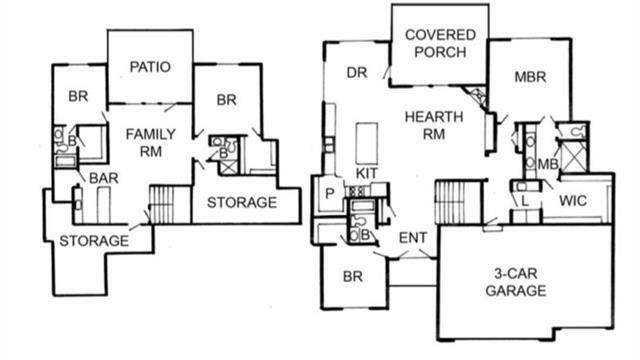 Lower level w/2 addtl bedrooms each w/their own baths, family room & bar area. Walk out to a patio with large yard. Sits on quiet cut-de-sac lot!